As discussed previously, the viewfinder information covers a lot of data. However, it needs to be decoded! 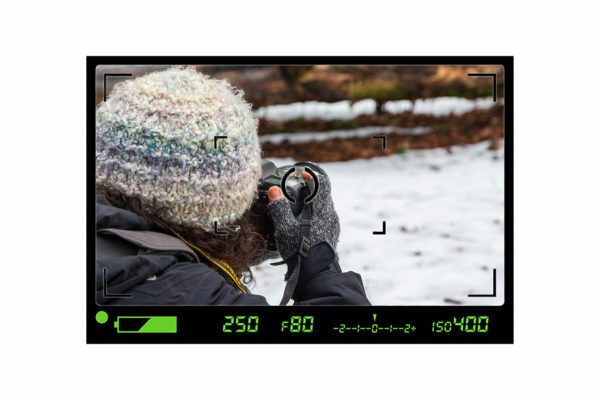 The information inside the viewfinder varies from different manufacturers and even models. 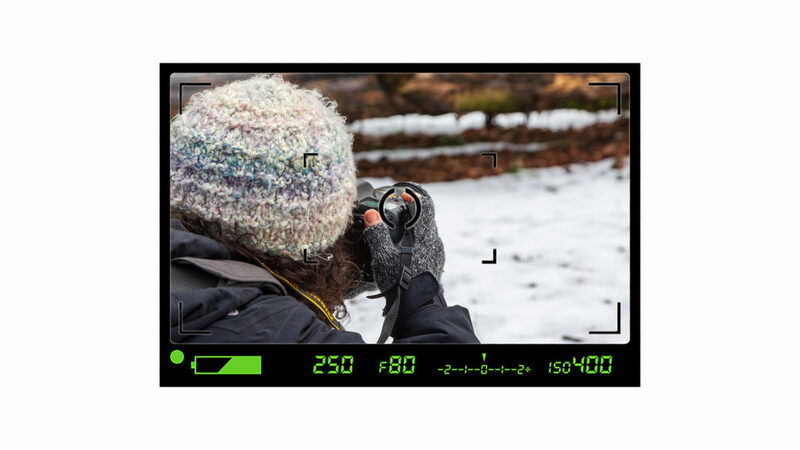 For instance, an entry-level camera provides less viewfinder information than a pro camera. That being said, there are many common data among all the makes and models. In this article, we are going to look into this popular information. Just like many other technologies, there are many icons and abbreviations in photography as well. Although most of these icons and abbreviations are standard, there are some oddballs here and there too. Please check your camera’s instruction manual for more information. 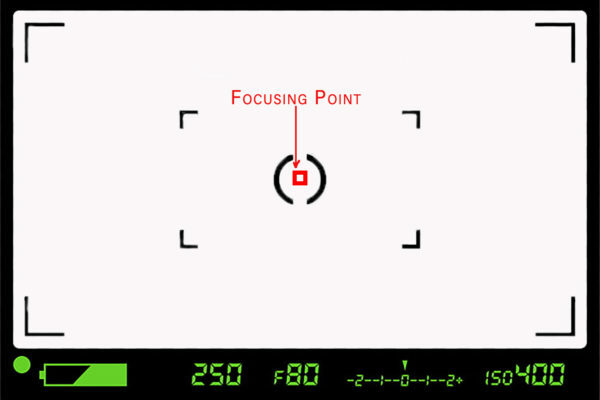 Focusing point indicates where the camera is set to focus. Off Centre Focusing Points for more artistic shots. The icon for the Spot Metering area may vary in different cameras. It might be a Small Circle or a pair of small Brackets. This icon represents the area that the camera uses to measure the light. By default, this area locates in the centre of the viewfinder. However, in some advanced cameras, it is attached to the focusing point. 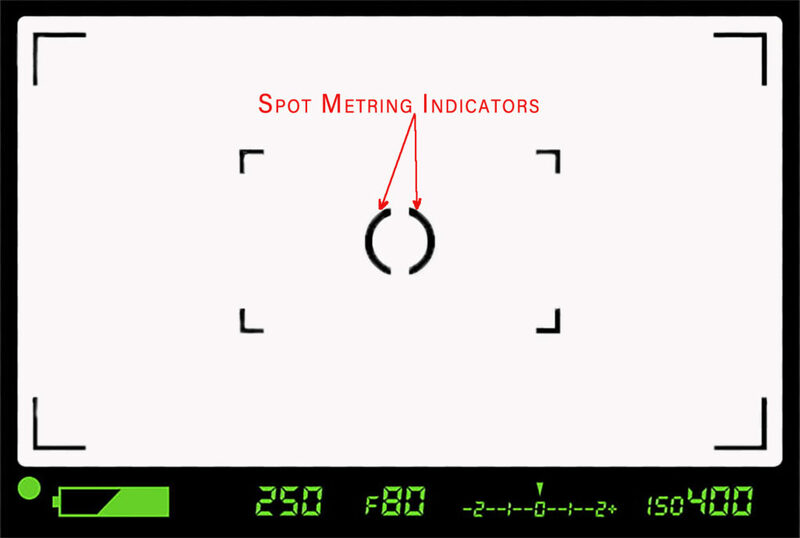 Therefore, when photographers move the focusing point, the spot metering area moves as well. These brackets show the Spot Metering area. The larger brackets or circle in the centre of the viewfinder shows the Centre Weighted area of the camera’s metering system. This area is always in the centre, and you cannot move it around like the Spot Metering area. However, in some cameras, photographers can change the size of this area. Centre Weighted Metering area indicators. Do you want to learn more about different focusing and metering modes? Register for our upcoming Digital Photography Bootcamp. A good portion of the bootcamp is dedicated to these topics. The next bootcamp is scheduled for June 5th. There are few spots left.